Microsoft plans to drop Windows Live branding — Microsoft are apparently renaming their Windows Live user account system to “Microsoft Account”. They’ve changed the name of this service a few times over the years. I first found myself with a Microsoft account in 1998 when Microsoft bought Firefly, an early music-discovery social network, and took over its user database. Firefly had already rather lost its original direction and had for some time been promoting its user database as a general-purpose online authentication product, called Passport. The account login interface is one of Microsoft’s more consumer-visible products or services, and also one that is relatively easy for them to rename because, after all, nobody really chooses it for its brand name. Microsoft Passport (1998–2001): Gripped by fear of consumers moving many of their activities online, rendering Windows platform and applications less crucial: we need to get everyone using our service to manage their financial and identification needs. .NET Passport (2001–2006): Corporate focus drifts from consumers (they’re ours, now) to developers. Wrap everything up in XML and sell it as a unified network ecosystem to bring ’em on board. Possibly a response to fear of Linux as a server platform, though as a Linux developer I might be overstating things. Microsoft Passport Network (2006): I’m not quite sure where this one fitted in. Possibly a last-ditch attempt to get anyone other than Microsoft to use Passport by suggesting there could be such a thing as a community of sites built on it. Windows Live ID (2006–2011): All hands on the Xbox, in response to a fear of getting squeezed out by initially single-purpose devices that begin to encroach on tasks previously carried out with a PC. A wave of newly capable consumer devices from other sources prompts a renewed focus on consumer appeal. 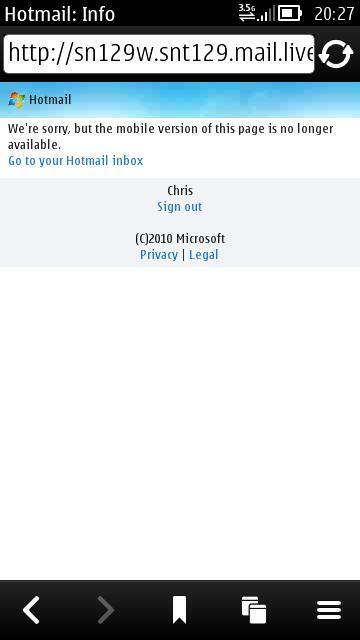 Microsoft Account (2012): The battle moves to the cloud! As Microsoft increasingly start to turn out applications for other operating systems besides Windows, the common theme is to ensure that the user is still part of the Microsoft “application platform” ecosystem, whether they are using Windows or not. There’s been speculation that the forthcoming launch of the iPad 3 might see Microsoft release a version of Office for the iPad. If this does come to pass, and Office ends up on the iPad, the one thing I really want to know is: will it sync with Microsoft’s SkyDrive, or with Apple’s iCloud? Eloquent. Perhaps it has a bit more in common with the typical ASP site of the 90s than I’d thought.